At least 10 passengers were injured when the Himalayan Queen express train driver applied emergency brakes leading it to make a sudden halt in Haryana. 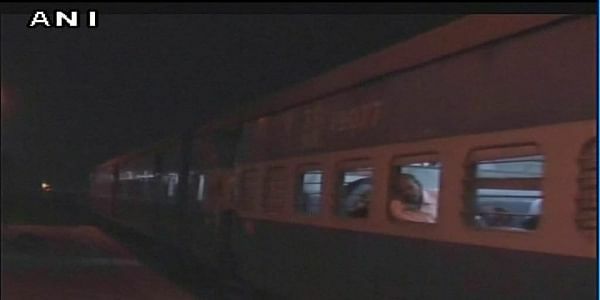 CHANDIGARH: At least 10 passengers were injured when the Himalayan Queen express train driver applied emergency brakes. Leading it to make a sudden halt in Haryana, railway officials said here on Thursday. The train was moving at a high speed on Wednesday night when the station master raised an alarm. The driver then suddenly applied the brakes. The train stopped near Gharaunda for some time. The injured were given first aid. Passengers on board protested the sudden application of brakes. The Delhi Sarai Rohilla Kalka Himalayan Queen Express is an express train of the Northern Railway zone that connects Chandigarh with New Delhi.